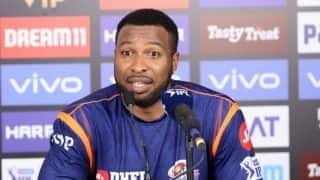 Kieron Pollard hammered 83 off 31 balls and powered Mumbai Indians (MI) to a thrilling three-wicket win over Kings XI Punjab (KXIP) in the 24th match of the Indian Premier League (IPL) 2019 at the Wankhede Stadium in Mumbai on Wednesday. The win also took MI to third spot in the points table. Both Siddesh Lad and Hardik Pandya were bought by MI at the IPL 2015 auction, for INR 10 lakh, their base prices. 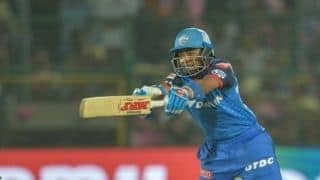 Since then, Pandya has gone on to become one of the leading allrounders both for MI and India (across formats). Lad has been continuing a successful career for his domestic team Mumbai across formats. 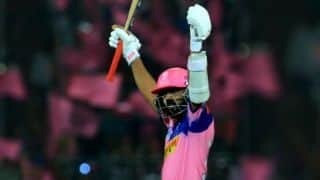 But an IPL appearance, which now serves as a launchpad to international fame and recognition, has remained elusive for Lad. 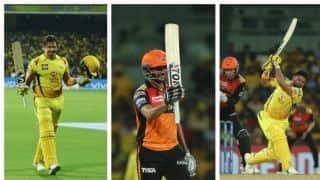 He sat on the MI bench for a whopping five years [during that period, MI added two IPL silverwares to their trophy cabinet] before his wait ended on Wednesday night. 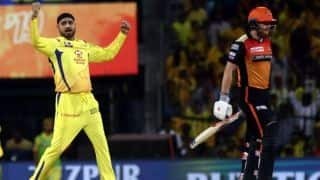 He was handed IPL debut in the absence of injured captain Rohit Sharma. He played as an opener, partnering Quinton de Kock and hit 15 off 13 with a four and a six before being bowled by Mohammed Shami. 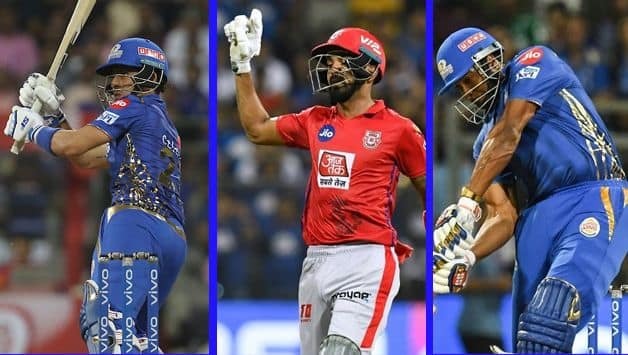 Wednesday wasn’t the first time that the KXIP openers KL Rahul and Chris Gayle scored bucketful runs against MI bowlers. Earlier in the season, at Mohali, the pair had stitched a century stand in 13.2 overs before being separated. On that occasion too, Rahul had played the role of an anchor, hitting an unbeaten 71 while Gayle smashed 40 off 24 in a successful chase. Then in the return clash at the Wankhede, the duo again tormented MI as they shared 116-run partnership. This time Rahul struck a maiden IPL century while Gayle was his destructive self, hitting 63 off 36. From over no. 13 to 17, KXIP innings underwent a slowdown. During that phase they added just 30 runs while losing three wickets. Rahul was solid but slow – batting on 64 off 52 with three overs left in the innings. Someone had to press the accelerator. 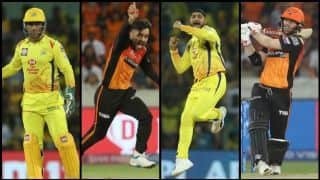 Sam Curran provided the initial push with consecutive fours of Jasprit Bumrah before being outdone by a slower one. Taking the cue, Rahul signalled a change in approach with a slice through backward point for a four. But the full brunt of his assault was yet to come. And it was an old-friend who had to cop the blows. Hardik Pandya came to bowl the penultimate over with figures of 2/32 from three overs. He finished with 2/57. Rahul belted three sixes and a four off his four deliveries to enter the 90s. 25 runs came off it. He then reached his century with a six and couple off Bumrah in the final over. MI were 65/3 at the halfway stage when Pollard had just started his innings after promoting himself up the batting order. 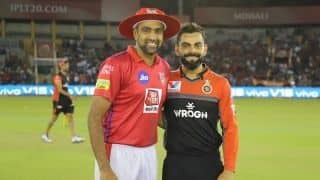 KXIP had tied them down with captain R Ashwin delivering two overs for just seven runs. The requirement was 133 off 60 deliveries. Pollard was quiet for five deliveries as he got the measure of the pitch before taking on Ashwin with a six over long-on to end his third over. 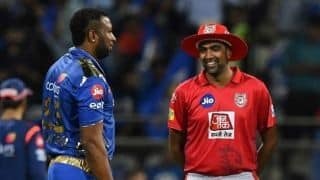 Ashwin returned to bowl the 14th over but by then, MI’s stand-in captain was in full flow powering the offspinner for two consecutive sixes and a couple off three successive deliveries to move to 40 off 15. While Mohammed Shami continued to make life difficult for the visitors, Pollard picked out his bowlers to neutralise the damage. Curran offered freebies and Pollard accepted them, handing him two sixes in return in the 17th over. 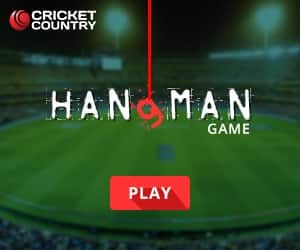 Ashwin persisted with Curran for the penultimate over and Pollard smoked two more sixes and a four in it leaving his team needing 15 from the final over. In T20s, one no-ball can make a world of difference. 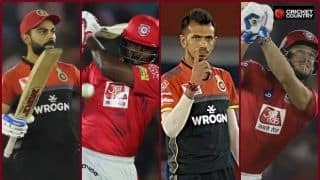 KXIP pacer Ankit Rajpoot got a timely lesson when he overstepped while handing a full toss to Pollard at the very beginning of the 20th over. A mis-hit followed but the ball sailed into the stands. Stung by the blow, Rajpoot bowled a short one on the leg and it was sent away for a four. 11 runs off and just one legal delivery. 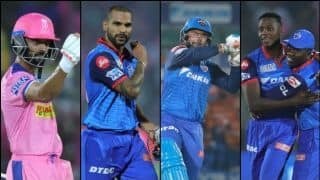 MI needed four off five now. Rajpoot had his man off the second delivery before pushing the contest to the final delivery. With two runs needed, Alzarri Joseph and Rahul Chahar ran for their lives to wipe off the deficit and take MI to a nerve-shredding finish.